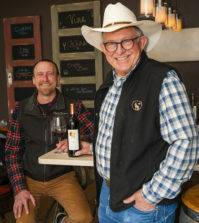 HOOD RIVER, Ore. – Saviah Cellars in Walla Walla, Wash., earned best in show Thursday at the second annual Great Northwest Wine Competition, winning for a red blend of Grenache, Syrah and Mourvèdre from one of the top vineyards in the Rattlesnake Hills. 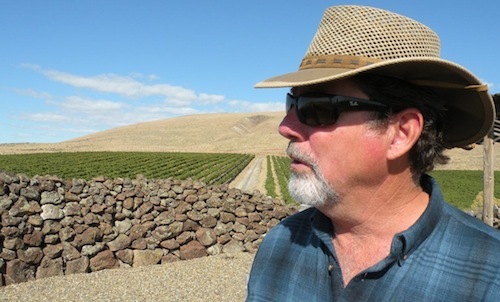 Owner/winemaker Rich Funk’s 2011 Elephant Mountain Vineyard G.S.M. took top honors out of 916 wines evaluated over two days at the Columbia Gorge Hotel in this Columbia Gorge town. 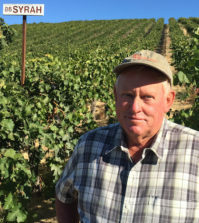 Elephant Mountain, owned and farmed by Joe Hattrup, is one of the top vineyards in Washington. It is not far from the city of Yakima. Funk heaped praise on Hattrup for the success of his 2011 G.S.M. 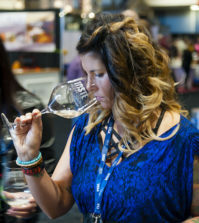 This marks the second consecutive year in which Funk and a Saviah Cellars wine has won a best of show in a major Pacific Northwest competition. Last year, his 2009 Big Sky Cuvée, a red Bordeaux-style blend, won best of show at the 2013 Washington State Wine Competition. He hopes someone familiar with Châteauneuf-du-Pape producer Domaine de la Janasse would appreciate his latest blend from this high-elevation source in the Yakima Valley. It’s no coincidence that cobblestones — akin to those in Châteauneuf-du-Pape — also are found in portions of Elephant Mountain and the Funk Estate site in the Walla Walla Valley. Funk is bullish on Rhône varieties both at Funk Estate and Elephant Mountain. Just this week, he planted 1 acre of Viognier. He’s also committed to expanding Mourvèdre, Grenache and Syrah. “It could be seven or eight years away from a GSM from Funk Estate, but it’s definitely on the radar,” Funk said. Circumstances didn’t work out for Funk to create a 2012 Elephant Mountain G.S.M., but he’s extremely excited with what’s in barrel from 2013. Production for the 2011 G.S.M. was 240 cases, and nearly 200 cases just went out to his 1,100-member wine club. 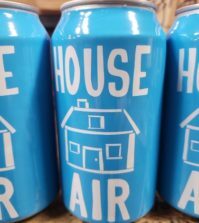 “We’re sitting on about 40 cases that we can just sell through the tasting room,” Funk said. 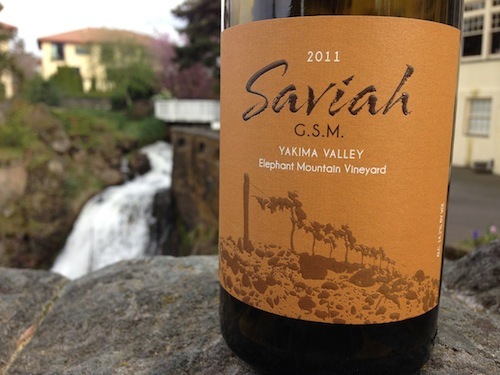 After the superlatives portion at the Great Northwest Wine Competition, Saviah Cellars shouldn’t have any trouble moving through the rest of his production. “I’m guessing that this will be strong selling point for me and my staff,” he said.